Social, on occasion parasites or slave makers. Queen may be replaced by laying workers. Larvae are raised by the workers who feed them with animal or plant matter. Agosti, D., J. D. Majer, L. E. Alonso & T. R. Schultz. 2000. 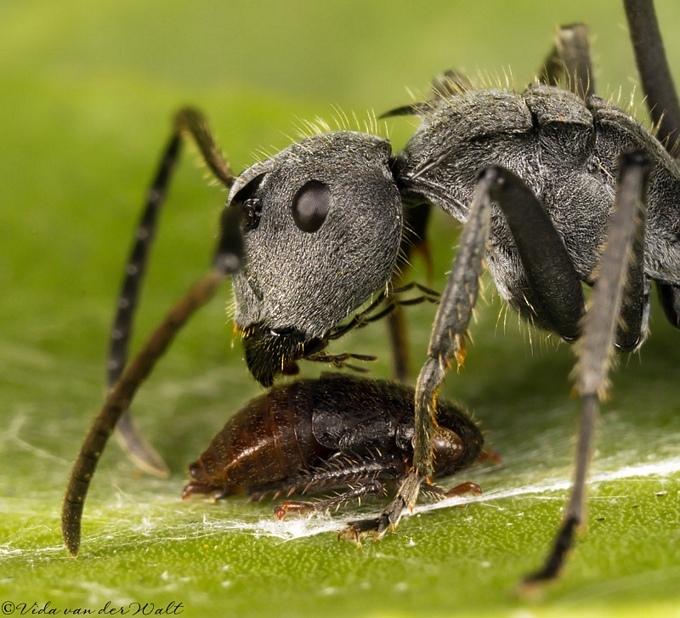 Ants: standard methods for measuring and monitoring biodiversity. Smithsonian Institution Press, Washington, DC. 280 pp. Bolton, B. 1994. Identification guide to the ant genera of the world. Harvard University Press, Cambridge, MA. 222 pp. Bolton, B. 1995. 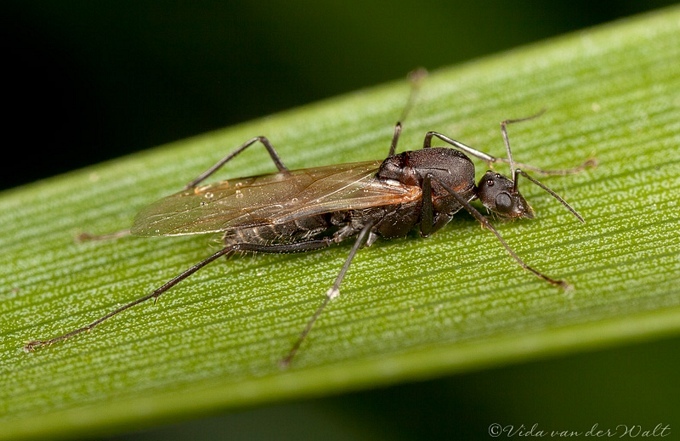 A taxonomic and zoogeographical census of the extant ant taxa (Hymenoptera: Formicidae). Journal of Natural History 29: 1037-1056. Bolton, B. 1995. A new general catalogue of the ants of the world. Harvard University Press, Cambridge, MA. 504 pp. Bolton, B. 2000. The ant tribe Dacetini. With a revision of the Strumigenys species of the Malgasy Region by Brian L. Fisher, and a revision of the Austral epopostrumiform genera by Steven O. Shattuck. Memoirs of the American Entomological Institute 65: 1-1028. Bolton, B. 2003. Synopsis and classification of Formicidae. Memoirs of the American Entomological Institute 71: 1-370. Bolton, B. 2007. How to conduct large-scale taxonomic revisions in Formicidae. Pages 52-71 in Snelling, R. R., B. L. Fisher & P. S. Ward. Advances in ant systematics (Hymenoptera: Formicidae): Homage to E.O. Wilson - 50 years of contributions. Memoirs of the American Entomological Institute 80. Bolton, B. 2007. Taxonomy of the dolichoderine ant genus Technomyrmex Mayr (Hymenoptera: Formicidae) based on the worker caste. Contributions of the American Entomological Institute 35(1): 1-149. Bolton, B. & W. L. Brown. 2002. Loboponera gen. n. and a review of the Afrotropical Plectroctena genus group (Hymenoptera: Formicidae). Bulletin of the Natural History Museum (Entomology) 71(1): 1-18. Bolton, B. & B. L. Fisher. 2008. 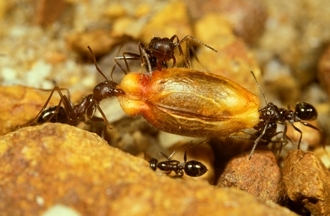 The Afrotropical ponerine ant genus Asphinctopone Santschi (Hymenoptera: Formicidae). Zootaxa 1827: 53-61. Bolton, B. & B. L. Fisher. 2008. 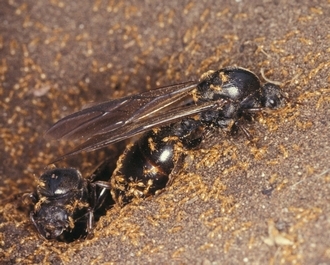 Afrotropical ants of the ponerine genera Centromyrmex Mayr, Promyopias Santschi gen. rev. and Feroponera gen. n., with a revised key to genera of African Ponerinae (Hymenoptera: Formicidae). Zootaxa 1929: 1-37. Bolton, B. & B. L. Fisher. 2008. 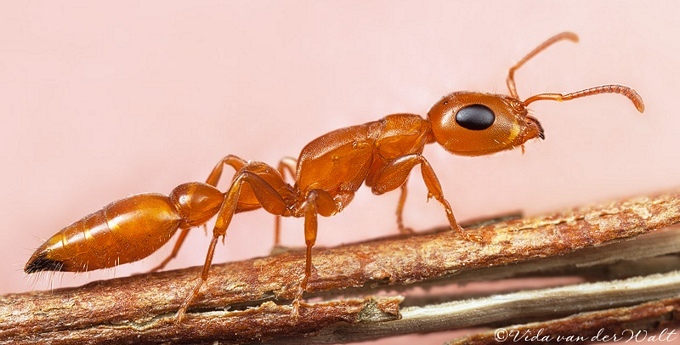 The Afrotropical ponerine ant genus Phrynoponera Wheeler (Hymenoptera: Formicidae). Zootaxa 1892: 35-52. Bolton, B., W. H. Gotwald & J. M. Leroux. 1979. 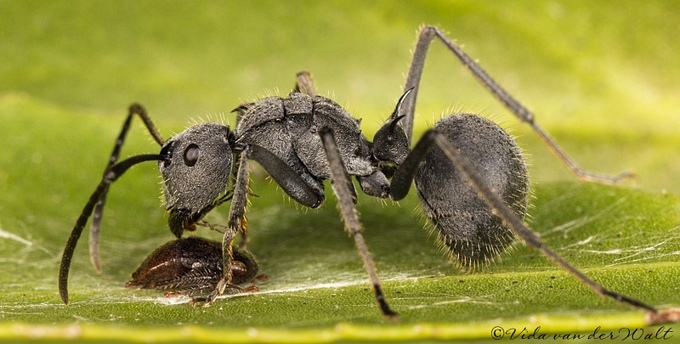 A new West African ant of the genus Plectroctena with ecological notes (Hymenoptera: Formicidae). Annales de l'Universite de l'Abidjan (Sciences) (E) 9: 373-381. Bolton, B. & A. C. Marsh. 1989. 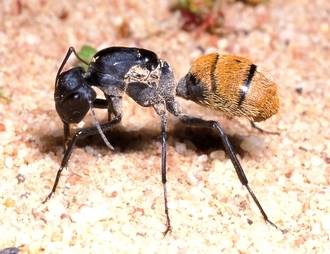 The Afrotropical thermophilic ant genus Ocymyrmex (Hymenoptera: Formicidae). Journal of Natural History 23: 1267-1308. Fisher, B. L. 2005. A new species of Discothyrea Roger from Mauritius and a New species of Proceratium Roger from Madagascar (Hymenoptera: Formicidae). Proceedings of the California Academy of Sciences 56(35): 657-667. Fisher, B. L. 2006. Boloponera vicans gen.n. and sp.n. and two new species of the Plectroctena genus group Hymenoptera: Formicidae) Myrmecologische Nachrichten 8: 111-118. Fisher, B. L. 2007. A new species of Probolomyrmex from Madagascar. Pages 146-152 in Snelling, R. R., B. L. Fisher and P. S. Ward. Advances in ant systematics (Hymenoptera: Formicidae): Homage to E.O. Wilson - 50 years of contributions. Memoirs of the American Entomological Institute, 80. Fisher, B. L. 2009. 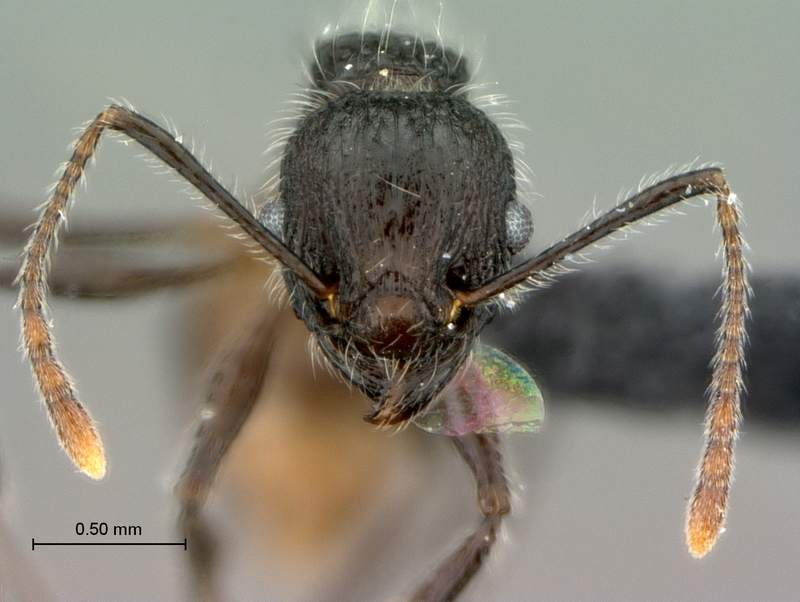 Two new dolichoderine ant genera from Madagascar: Aptinoma gen. n. and Ravavy gen. n. (Hymenoptera: Formicidae). Zootaxa 2118: 37-52. Fisher, B. L. & B. Bolton. 2007. The ant genus Pseudaphomomyrmex Wheeler, 1920 a junior synonym of Tapinoma Foerster, 1850. Zootaxa 1427: 65-68. Fisher, B. L. & M. A. Smith. 2008. A revision of Malagasy species of Anochetus Mayr and Odontomachus Latreille (Hymenoptera: Formicidae). PlosOne. Hölldobler, B & E.O. Wilson. 1990. The Ants. Harvard University Press, 732 pp. LaPolla, J. S., C. H. Cheng & Fisher, B. L. 2010. Taxonomic revision of the ant (Hymenoptera: Formicidae) genus Paraparatrechina in the Afrotropical and Malagasy Regions. Zootaxa 2387: 1-27. LaPolla, J. S. & Fisher, B. L. 2005. A remarkable new species of Acropyga (Hymenoptera: Formicidae) from Gabon, with a key to the Afrotropical species. Proceedings of the California Academy of Sciences 56(30): 601-605. Snelling, R. R., Fisher, B. L. & P. S. Ward. 2007. 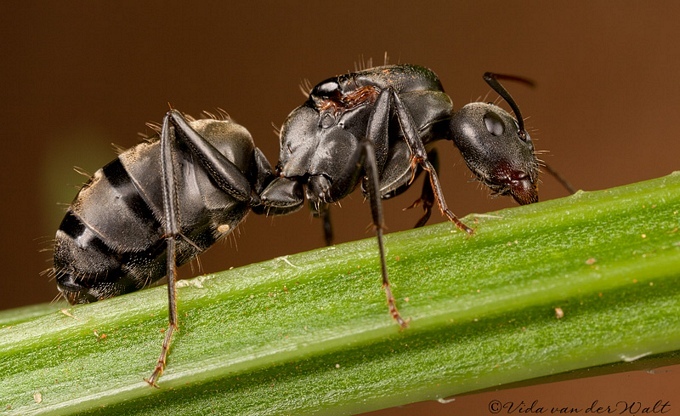 Advances in ant systematics (Hymenoptera: Formicidae): Homage to E.O. Wilson - 50 years of contributions. Memoirs of the American Entomological Institute, 80. Ward, P. S., B. Bolton & S. O. Shattuck. 1996. A bibliography of ant systematics. University of California Publications in Entomology 116: 1-417. Yoshimura, M. & Fisher, B. L. 2007. A revision of male ants of the Malagasy region (Hymenoptera: Formicidae): Key to subfamilies and treatment of the genera of Ponerinae. Zootaxa 1654: 21-40. Yoshimura, M. & Fisher, B. L. 2009. A revision of male ants of the Malagasy region (Hymenoptera: Formicidae):Key to genera of the subfamily Proceratiinae. Zootaxa 2216: 1-21. Photographs © Vida van der Walt (Pretoria) or Hamish Robertson (Iziko Museums) or Simon van Noort (Iziko Museums of South Africa).